I love the tea lovers in my life. Not only do they show remarkably good taste in their favorite drink, they’re incredibly easy to shop for. Whether it’s Christmas, Mother’s Day, Father’s Day, anniversaries, or birthdays, you always know the way to a tea lover’s heart – through their tea cup! Below are the Top 10 Gift Ideas for Tea Lovers, according to The Crazy Tea Chick. You simply cannot go wrong with any of these. 1. The Bonavita Digital Electric Gooseneck Kettle. (pictured above) This beauty takes the guesswork out of brewing the best tea you ever had in your life. Easy to use, handsome to look at, and (quite frankly), one of the things in my kitchen I value the most. You can read my Bonavita Digital Kettle Review or simply click here to see it on Amazon. 2. Gorgeous! The Bormioli Rocco Murano Cobalt Blue Glasses (pictured above) are some of the most beautiful tea glasses I’ve ever laid my tea loving peepers on. They’re sold in a set of 4 and would make a perfect gift idea. 3. Back to back tea glasses? Why the heck not? The one pictured above is also sold in a set of four and is the very definition of eye-catching. These are the Bormioli Rocco Sorgente Double Old Fashioned Glasses and I’m obsessed with everything about them. 4. The Bamboo Matcha Tea Set , pictured above, is a best seller on Amazon – making me one of MANY who use it daily. Packaged along with some great matcha (see below! ), this would be a gift your tea lover will use for years. 5. Matcha! Whether you gift it along with a set of beautiful mugs, a Bamboo Matcha Tea Set, a teapot, or all by itself, DoMatcha Organic Matcha is as good as it gets for making outstanding matcha at home. 6. I don’t have my review of the Hario Chacha Kyusu Maru Tea Pot on Crazy Tea Chick yet, but I wouldn’t take anything for mine. It’s beautiful and insanely useful for making fresh brewed tea. 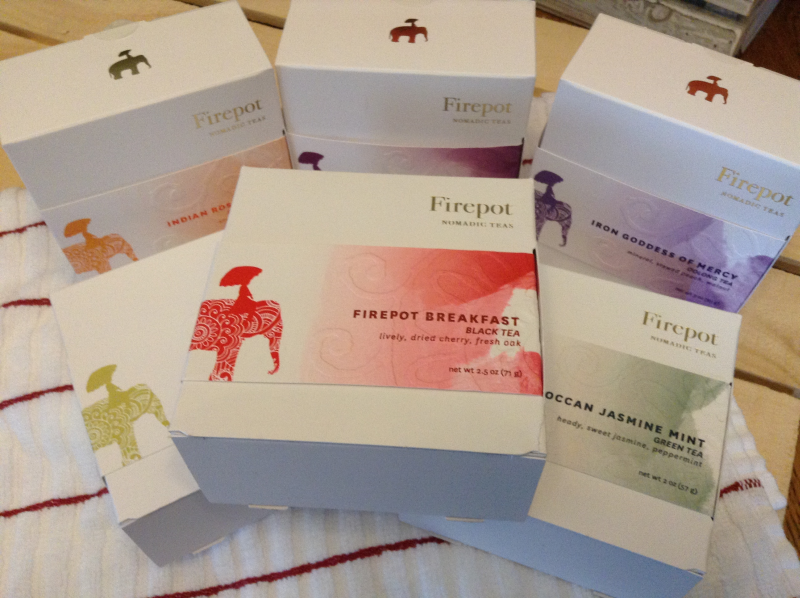 It comes in a sturdy box, perfect for gift wrapping and any tea lover will cherish it as much as I do mine. 7. If you’ve ever read my food blog (or walked into my kitchen), you’d know one thing for certain – I’m pretty infatuated with all things Rachael Ray. Cookbooks, pans, dishes, kitchen gadgets – the works. There’s something about the fun, upbeat, vibe all Rachael Ray products put off that resonate with me. So, basically I surround myself with them and resonate away. Naturally I have one of her Whistling Teakettles – I mean, how could I not? Mine is orange (like the one shown at the top of the post) and it’s used so frequently, it has a permanent resting place on the stove. This perfect whistling tea kettle is also available in Blue and Red . 8. The Ozeri Serafino Double Wall Insulated Glasses , pictured above, are perfect for tea and/or coffee lovers. As someone who answers immediately to both, I’m more than a little crazy about them. The beauties are sold in sets of four and are just gorgeous. 9. Fun Tea Kettles (like the zebra shown above) make great gift ideas for the tea lover in your life. Other tea kettles with tons of personality are shown on the side — they include a rooster, bee hive, giraffe, and cow. So cute. 10. There’s a such thing as saving the best for last and that’s what we have here – because what better gift for a tea lover than the very thing they’re in love with… tea, itself?!?! When a tea lover is introduced to great new tea companies, it’s like a kid walking through the gates at Disneyland. Whether you add a few boxes to a gift bag, use them as the basis for a gift box, or stuff some into a stocking, great quality loose leaf tea is THE perfect gift for tea lovers in your life. I 110 percent recommend that you visit the two tea companies below and do a little shopping. I’ve had dealings with each and promise you that you’ll be blown away. I’ve written tea reviews for several of their teas on Crazy Tea Chick and have quite a few more scheduled to publish in the coming days. Everything they offer is perfection. When you place your order…. be sure to order some for yourself. Trust me. 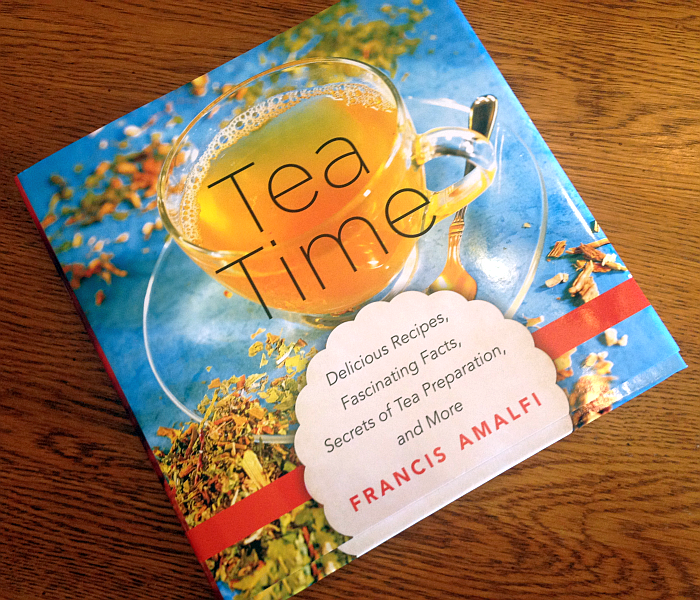 Tea Time is a perfect book for tea lovers. Read my Tea Time Review or simply hurry over to Amazon to buy the book. Filled with tea facts, history, legends, tales, and countless tea recipes – any tea drinker will love this beautiful book. When it comes to making Chai Tea Lattes, London Fogs (latte made with Earl Grey tea), and coffee-based lattes, the Breville Milk Café Milk Frother is essential – as in, it’d be nuts to try to live the latte life without one. Click through the link for more information.